Suffice to say, it's been quite a year for Matanzas Voices. First: we’re officially official! After collecting our first five interviews by way of the Matanzas Riverkeeper and a seed grant from the Florida Humanities Council, we got the green light to develop as our own project under the Friends of Matanzas, Inc. Friends of Matanzas is a community-organized advocate for the Matanzas River, and we can’t think of a better sponsor for Voices, whose mission is to document life and work along our river. Drop us a line if you'd like to learn more about Friends of Matanzas and how you can get involved. We made our debut last spring at an event at the Council on Aging. Attendees gave us lots of great feedback, insight and ideas, for which we’re humbled and grateful. The responses I got from folks speak to a strong sense of place: "Our environment is now changing very quickly," one attendee told me. "It's nice to hear the past so we know how we must protect it into the future." I couldn't agree more. This year also brought us a tremendous opportunity to grow Matanzas Voices. A generous donor has pledged to match every dollar you give up to $25,000. That means for every $50 you gift, we receive $100, every $100 = $200, and so on. We have big plans for the year ahead and are grateful to everyone who has chipped in so far. But we still need your help in meeting our fundraising goal. It’s also been a sobering year. With two hurricanes in eleven months, our communities are thinking hard about the climate’s “new normal,” adaptation, and the precariousness of living along Florida’s rapidly developing coast. Nothing illustrated this more for us than the loss of the Matanzas Innlet Restaurant, a beloved icon in Summer Haven. Only a few months after we interviewed Marian Kimrey—whose parents built the eatery in the 1950s—Hurricane Matthew stomped in and crippled the restaurant. It was bulldozed in July. In the year ahead, we’ll dive deeper into the people, places, and histories that make our region unique. 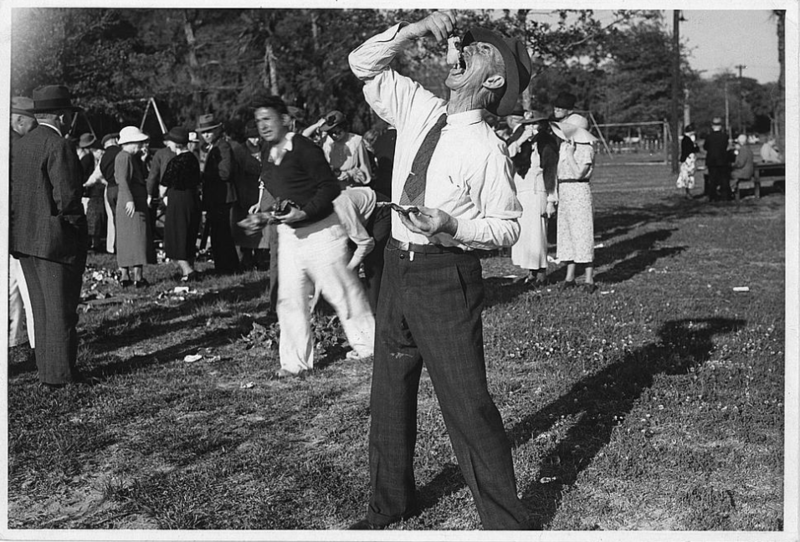 Stay tuned for updates on projects, events, and exhibits we have in the works...we’re so excited we can hardly stand it. A generous donor has pledged tomatch every dollar we can raise up to $25,000 until December 31st. If you like what we're doing, consider chipping in to help us meet our goal! You can make a tax-deductible donation online, via snail mail, or make a monthly pledge via Patreon(which also gets you behind the scenes exclusives). 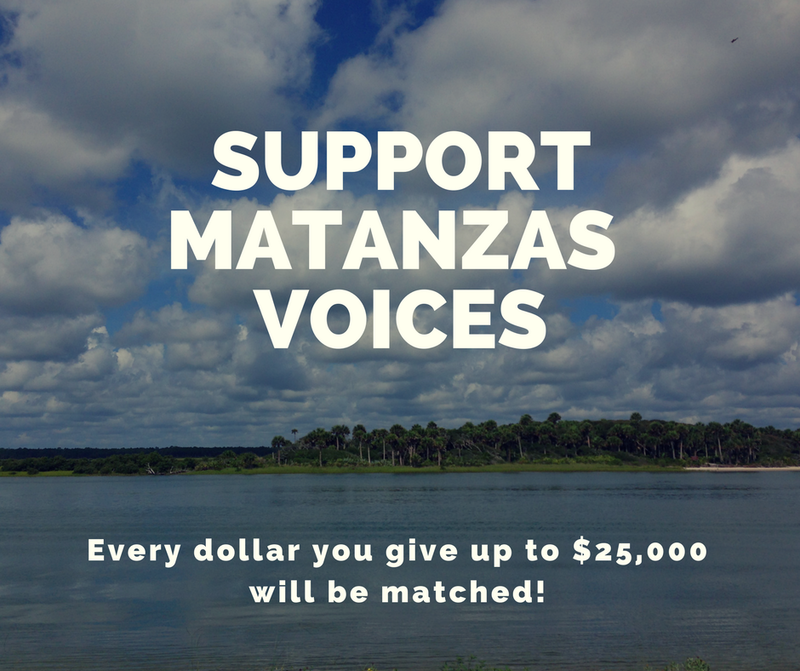 Get to know your river and support Matanzas Voices! 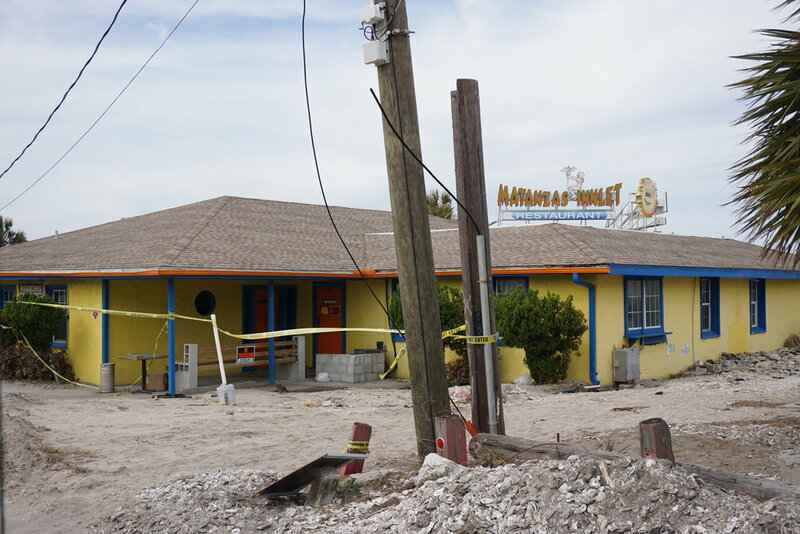 Hurricane Matthew crippled Summer Haven's iconic Matanzas Innlet Restaurant in October 2016. It was demolished in July 2017. Marian Kimrey's parents built and operated the beloved eatery in the 1950s. Check out her interview to learn more about this icon's vibrant past. "If I had a nickel for every shrimp I ever cleaned or breaded," Marian says, "I'd be the most wealthy person."